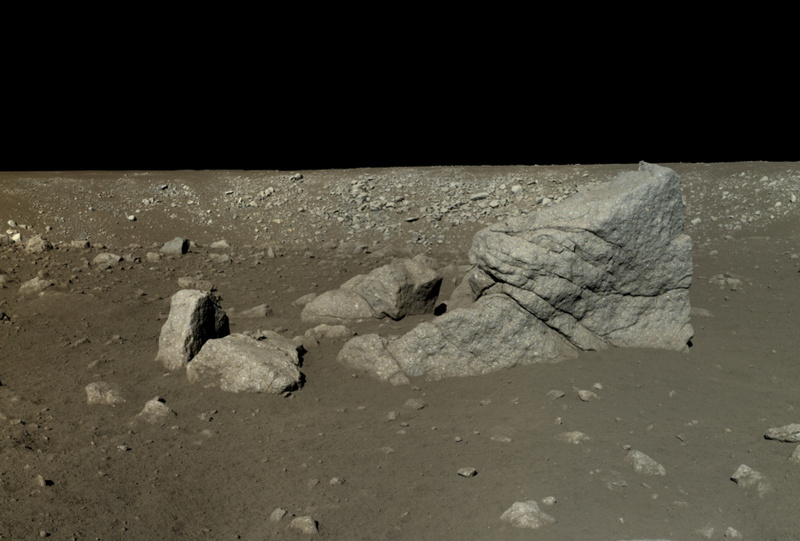 Where is all the data from the Chang'e lunar missions? Many thanks, Dawoon. Things were much less organized when I downloaded Chang'e 2 data about 2 years ago...The data had to be downloaded from a site with Chinese writing and a numerical address. No problem for you, but all I could read in some places was "Chang'e'. And after a short while the server became unavailable. Here is some info after my first contacts with the huge Chang'e 2 texture (213.4k x 106.6k). Perhaps it is still somewhat useful. I hope the mosaics have been geodetically corrected since then, so they can be used to upgrade the WAC reflectance map. I'm still struggling to figure out how to download a high-resolution cylindrical map from the Chinese PDS. It seems I might need to sign up for an account, but the registration form keeps timing out. QGis ( uses GDAL ) can open the img file and use gdal to warp it from the "LambertConformal" to "SimpleCylindrical"
The authors use it to generate a DEM, but bundle adjustment is also required to get you a good image mosaic. EDIT: The paper says such kernels aren't published. So what the authors did was use 10-20 LOLA points as ground control points per Chang'e 2 stereo pair as inputs to indirectly determine the camera external orientation parameters. These parameters were then refined through bundle adjustment. Geometric correction of lunar images (or of any other body apart from Earth for that matter) to get a good mosaic is really hard due to the lack of reliable positioning data.